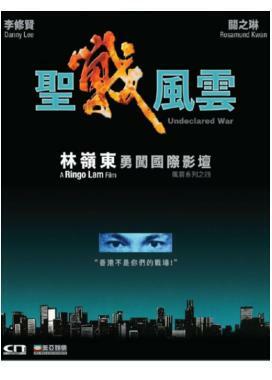 After several successful action-adventure films in Hong Kong, acclaimed director Ringo Lam has made Undeclared War, his first film in English with an international cast. This movie helps Ringo Lam to be exposed to the western movie industry and penetrate into the West. Specializing in action movies, Ringo Lam uses again his unique maneuver in demonstrating the beauty of action with no lack of action, gunfire, and car chases.